*Satin ribbon sash can be customized in another color for an extra fee. 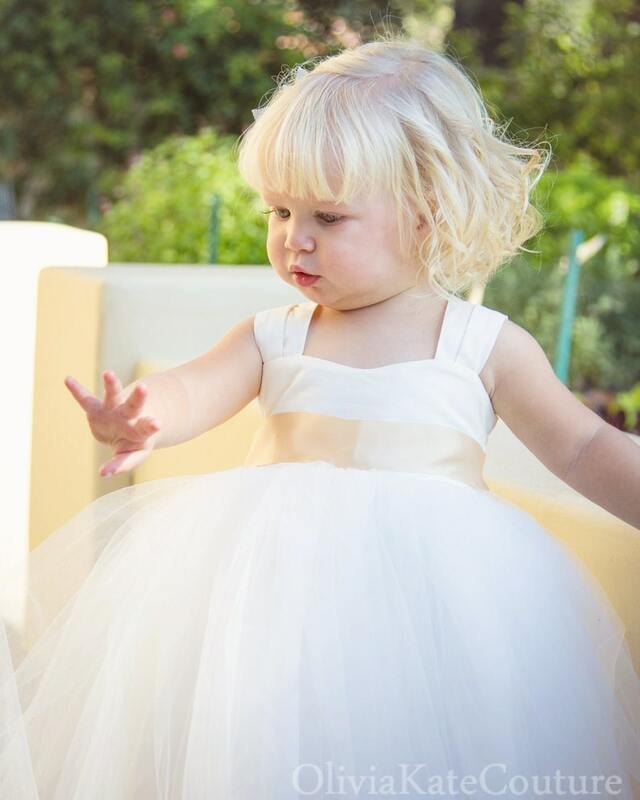 She will love this simple yet stunning flower girl dress. 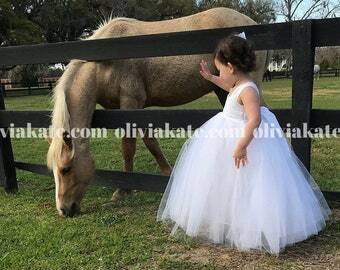 Features a Cotton Sweetheart Bodice, soft tulle skirt. Sweetheart bodice straps tie at the back for a comfortable fit. Completely customizable in any color combination. LO's dress came in wonderful condition, beautifully packaged and was on the earlier side of the estimated turn-around from time of order. Albeit quite expensive, the craftsmanship is really quite stunning. I can't wait to see her walk down the aisle in her uncle's wedding! Thanks!